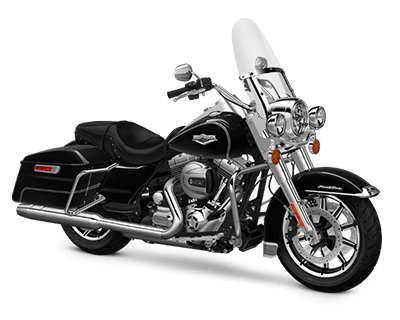 The Harley-Davidson® Touring lineup includes some of the most well known and best equipped bikes on the road. These are fully featured, long-haul motorcycles with wind-blocking fairings, smart infotainment systems, and the new Milwaukee-Eight™ engines for the 2017 model year. Here at Avalanche Harley-Davidson®, we think that riders here in the Rockies will appreciate these new models. 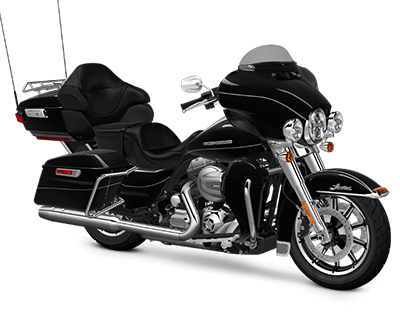 The Road King® maintains the appearance of a traditional Touring model, offering classic lines blended with a modern twist. This motorcycle is a fantastic all-around performer, perfect for Lakewood riders who need a quintessential touring bike. To top it off, the new Milwaukee-Eight™ 107 V-Twin delivers more power and more performance than ever before. This is a top motorcycle in the Touring line, and it’s easy to see why. The new model has been given a more powerful engine, easily adjustable suspension in the front and rear, and standard cruise control to keep you relaxed in luxury during the long haul. Those are advanced features that riders from Aurora will appreciate while carving up the front range. 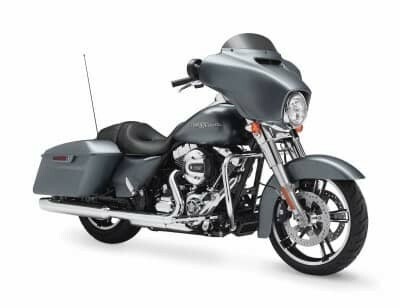 The Street Glide® Special offers the same incredible level of comfort and technology boasted by the standard Street Glide®, but presents that capability within a bold, stripped-down design. This is a state-of-the-art motorcycle with sleek, no-nonsense styling – a compelling combination. 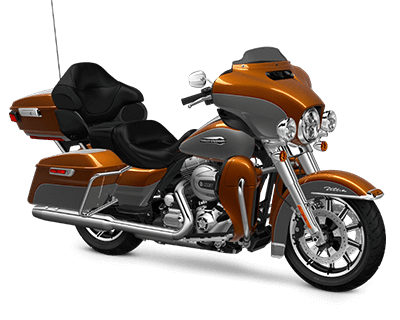 With the Electra Glide® Ultra Classic®, the ride is kept smooth by the bike’s use of premium internal components. The new Milwaukee-Eight™ engine offers superior performance and efficiency, while its upgraded suspension system in the front and rear promises a smoother ride than ever before. 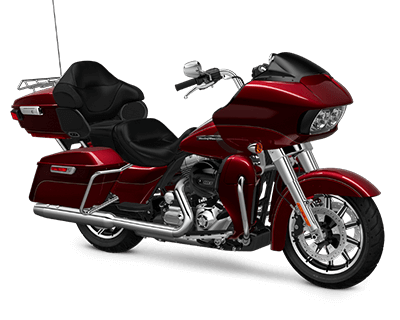 The Electra Glide® Ultra Classic® has everything you could want in a premium touring bike, and just a little bit more. The Ultra Limited caters to your every whim. In addition to its eye-catching design, this model utilizes a BOOM!™ Box 6.5GT multimedia system with voice recognition and Bluetooth capability that provides directions, music, and traffic information without having to take your hands off the handlebars. This low, mean model retains the same generous onboard technology, but with a seat slung only 25.6 inches above the road. The Ultra Limited Low is sleeker, easier to handle, and stunningly responsive. 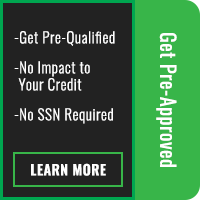 This combats the added weight associated with touring motorcycles, making it a perfect motorcycle for Lakewood riders who like feeling connected to the road. 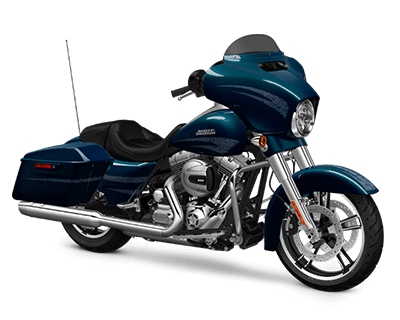 The iconic Road Glide® is a classic touring bike that gives you everything need and nothing you don’t. This model features smoother, cleaner lines that result in improved aerodynamic performance. Its lights have been improved for unparalleled illumination, and the handlebars have been shifted closer to the rider for added ease of use. 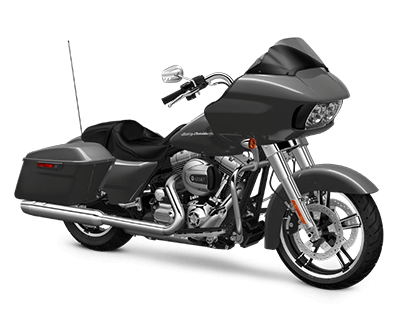 This model inherits all the fantastic features included in the standard Road Glide® Special, and it adds a number of important features. You get an upgraded 6.5-inch GT audio system, and 6.5-inch touchscreen infotainment system, an easily adjustable low-profile rear suspension, a gloss black inner fairing finish, and more. This is a truly premium bike that’s ready to take you anywhere you want to go. One step up from Special is Ultra. This bike upgrades just about everything in the Road Glide® platform. It comes standard with one of the most sophisticated front fairings ever designed for a motorcycle. 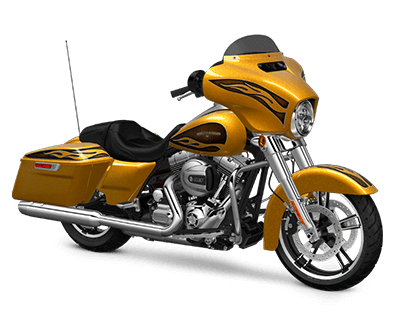 It also gets Tour-Pak® luggage carrier and saddlebags that are easy to access with just one hand. Plus, it gets the all-new Milwaukee-Eight™ 107 with more power and better ride, along with an advanced infotainment system with smartphone integration, streaming audio, Bluetooth connectivity, navigation, and more.